Emergency Towing (800) 518-8687 is a car locksmith expert. We provide our towing services through an affiliate network of independent tow truck operators. These skilled professional locksmiths bring expert methods and knowledge to any car lock problems. The technicians are prepared to solve security issues for your unique situation. Our professional locksmiths can prescribe state-of-the-art products that work, and more effective solutions for you in an efficient manner. We are available 24 hour a day, 7 days a week, 365 days a year. Anytime or anywhere you need us we will be there!. 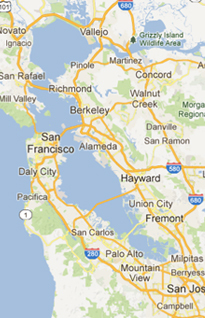 Our services are available in San Francisco, San Jose and Oakland. We are legally bonded, approved and licensed. We are recognized and approved for payment by major insurance companies. In case of lost car key, sometimes a key code is available. This code is typically written on the original bill of sale. Having your key by code can save you money over having a key fitted to the car on-site. Even without the code, we can make a duplicate key, provided you are the car-owner and have sufficient identification. A broken key can be extracted by different methods or by dismantling the lock cylinder assembly. Car lockouts are tactically handled by using a locksmith tool kit. A lockout can happen for many reasons like a rusty lock or the door jamming. We are licensed to manufacture High Security and VAT keys with high-tech machines. Open trunk options are also available from our experts. If you need services such as broken key extraction, car lockout services, VAT key or high security key manufacture, lost car key solution and ignition replacement as well as other services we are the right auto locksmith and 24 hour towing service for you. Emergency Towing offers fast, professional and high end auto services. Our technicians, equipped with the latest modern auto technology, are available 24/7 at your request. Our professional auto service is powered by a computerized system that facilitates our technicians and enables them to perform an accurate and professional service. 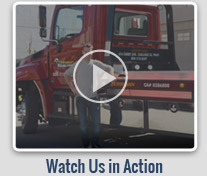 24 hour towing service providers are located in cities: San Francisco, San Jose and Oakland. Call us today on (800) 518-8687 for all your auto tow needs.